Ninjutsu (忍術, Ninjutsu? ), Ninpo or Taijutsu, is both a living, practical martial art and a myth based on the figure of the Ninja. These two perspectives, a practical martial art and a set of skills centered around Intelligence and Information Warfare, made the practitioner, the Ninja, an immensely popular generic term for a super hero and a trans cultural phenomenon that has spread outside the ken of martial arts niche, , , . This popularity led to many MacDojos that together with the fantastic myth of the Ninja caused, at some circles, a devaluation of the martial art . Two main historical arenas are the birthplace of Ninjutsu, Iga prefecture and Koga. The Takamatsu den schools claim a teaching lineage stemming from the Iga area. The AKBAN wiki lists more then a thousand videos of Ninjutsu techniques and Ninjutsu lessons thus documenting the immense syllabus of Ninjutsu, . Practical Iga descended Ninjutsu today is a collection of Japanese Ryuha transferred or hypothesized from the practices of the Ninja (忍者, Ninja?) and other warriors of medieval Japan. The central figure of modern Ninjutsu is the founder of Bujinkan school, Masaaki Hatsumi. Several schools grew out of Bujinkan and they all use Takamatsu tushitsugu, Hatsumi's teacher, syllabus. Apart from the Takamatsu lineage there exist other systems that are derived or hypothesized from other teaching lineages. There are three frameworks that define Ninjutsu. Ninjutsu as a Martial art - practicable, fully faceted martial art. Ninjutsu as Myth - Stories and legends about the myth of the Ninja and it's probable roots. Ninjutsu as Skill - Espionage, assassination, witchcraft and warfare skills centered around the hypothesis and textual evidence of what the Ninja could do . In this framework Ninjutsu is the generic name encompassing all the warrior skills of the Ninja. This framework is fostered by all the schools originated by Takamazu: the Takamazu den, or the X-kan. There are some scrolls that may verify viewing Ninjutsu as a complete martial art. In the Togakure ryu the Ninja Juhakkei (忍者十八系, Ninja Juhakkei?) was studied together with Bugei Juhappan (武芸十八般), the 18 Samurai martial art skills. Ninjutsu as myth is the way Ninjutsu has been depicted in books and media. The center of this myth is the highly evocative symbol of the Ninja which is depicted as a superhuman - an espionage, sabotage and practicable magic expert. 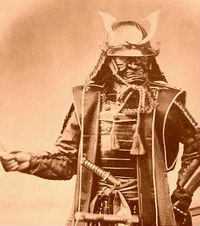 One of the myths places the origins of Ninjas in mountain dwelling warriors, Yamabushi, who evolved their self defense practices into a specific method of fighting, non-detection and outdoor survival techniques. Those practices were influenced by Shugendo, the outside living tradition (修験道, Shugendo, the outside living tradition?). In some accredited martial arts koryu - Tenshin Shodan Katori Shinto Ryu for example, Ninjutsu is just one part of the various skills that were needed to gain a comprehensive knowledge of the martial arts. In this framework, Ninjutsu consists of a few, specific, skills inside a complete Samurai martial art. Ninjutsu then connotes the skills that relate to espionage, disguise, concealment, camouflage skills, occult magic, enduring outdoor living and stealth fighting techniques. An emphasize in these systems was placed on lightly armed warfare, movement skills and espionage techniques. Ninjutsu in pre Meiji period (明治時代, Meiji-jidai? ), at the Muromachi period (室町時代, Muromachi jidai? ), Edo period (江戸時代, Edo jidai?) and Azuchi-Momoyama period (安土桃山時代, Azuchi-Momoyama jidai?) was a set of skills that was practiced by people from several castes and professions. The origins of Ninjutsu are shrouded in myth, from teachings originated by Tengu (天狗), the fierce mythical crow like demons, to martial skills given by runaway Chinese generals. What is certain concerns the historical evidence of Ninjutsu skills deployed during the military history of Japan. From this stems the presence of Ninjutsu as an unavoidable warrior skill in some renowned Koryu martial arts. The presence of a special tactical rational, revealed with Reverse kata analysis of the Ninjutsu ryu Kata in Bujinkan (武神館, Bujinkan? ), Genbukan (玄武館, Genbukan?) and Jinenkan (自然舘, Jinenkan?) points to a Ninjutsu - like mind set when these Kata were created. The characters comprising the name Ninjutsu in Japanese are a combination of two Kanji signs: nin and jutsu. The nin kanji - (忍, The nin kanji -?) - depicts a heart (shin) under a blade (ha) together with the character of skill (jutsu) ( - 術 - , character of skill (jutsu)?) it forms the complete term. The Ninjutsu Kanji has an ambiguous meaning that can be interpreted as the skill of imperturbable spirit or winning through silently enduring everything. Ninjutsu in the common conception refers to the martial arts, practices and techniques that descended from the mythological ninja. The focus of practicable Ninjutsu is somehow different as techniques practiced in modern schools stem from a plethora of Koryu (古流, Koryu?) and not singularly from Ninjutsu ryu. Most sources cite the syllabus of the Takamazu den (高松伝, Takamazu den?) as a main link to historical Ninjutsu, but Schools having some Ninjutsu curriculum are numerous. Some of the Ninjutsu schools tend to shift the name and connotation of Ninjutsu to other, more neutral names Ninpo (忍法), Budo Taijutsu (武道体術, Budo Taijutsu? ), Amaterasu (天照) and Samurai jujitsu. Ninjutsu derived schools are proliferating in the west and in Japan. Takamazu den schools or schools derived from other more modern sources have gained popularity from the ninja boom of the 1980's. Ninjutsu syllabus includes a wide variety of techniques ranging from empty hand moves to an extensive Kata collection with weapons. This wide database holds a promise of a wide base of usability in variable conditions. Pure Ninjutsu techniques are hard to define; they intermingle with Other Koryu techniques that are present in the Takamazu – den syllabus. The background of the ryu studied in the Takamazu – den is very diverse. Some ryu use techniques fitted for urban environment and deal with low aggression situations, other ryu originated in battlefield and contain techniques with Japanese armor (鎧), use of the battlefield swords (太刀) and weapons like the Naginata (長刀). Some of the systems integrated into the Takamazu – den, are complete martial arts and include many aspects of the martial spectrum. All together, they form an immense database of grappling, striking and armed techniques. One of the common principles to all the ryu that comprise the Takamazu – den is the use of movement Sabaki (捌き, Sabaki?) suited for outdoors and an "anything goes" attitude to combat. Ninjutsu in pre Hatsumi era, (see: Seishin teki kyo yo) (精神的教養, (see: Seishin teki kyo yo)?) gave as its guidelines a vague humanistic point of view. Starting with love of nature and ending with love to other. It purports the inner values acquired by present day practitioners. Practicable Ninjutsu, as any other martial art that includes grappling skills, promotes socialization skills and patience to the other. This is a martial art practiced mainly in the company of training opponents. In reality, most serious dojos and instructors practice with little myth, making no claims to usability in violent situations and treating it as a peaceful physical activity. Some Takamazu den try to augment the traditional techniques with randori (乱取, randori?) practice, techniques and training methods from other martial arts. The emphasis in the Budo Taijutsu dojos that gave up the combative value of the syllabus has shifted toward accuracy of the techniques and the spiritual values that stem from peacefully practicing a tradition of movements. Those dojos that preach usability of the Ninjutsu syllabus have to augment the techniques and Kata of the x-kans with research, fitness, modern training methods and sparring. The Ninjutsu techniques have an air of usability when done properly. In randori the able Ninjutsu practitioner uses a lot of Sabaki, or distancing to better his odds. Ninjutsu practitioner should, optimally, be able to control a wide variety of moves, from kicks and punches to weapons and ground fighting. The Bujinkan Dōjō headed by Masaaki Hatsumi, (初見良昭) is one of three organizations frequently accepted as teaching Ninjutsu by the Bujinkan's members (under the name Budo Taijutsu). However Hatsumi has stated that he has modified the art of traditional Ninjutsu to better suit modern ways. Hatsumi calls his derived martial art Budo Taijutsu. Hatsumi's Bujinkan Dōjō consists of nine separate streams (Ryu)（流） of traditional Japanese martial arts, only three of which contain Ninjutsu teachings and of these three none passed the strict requirements for an authentic, living, martial art tradition. The other six martial art streams are verified Koryu and are also practiced separately out side Bujinkan. Hatsumi learned a variety of martial arts skills from Toshitsugu Takamatsu (高松寿嗣). At least three other Takamazu den organizations are teaching Ninjutsu, or techniques taken from the syllabus of Bujinkan but labeled with the exact ryu they were taken from. These are the Genbukan headed by Shoto Tanemura (種村匠刀), who left the Bujinkan in 1984, the Jinenkan headed by Fumio Manaka (間中文夫), who left the Bujinkan in 1996 and AKBAN. Other extant traditional martial arts such as the Tenshin Shōden Katori Shintō-ryū (天真正伝香取神道流) contain some aspects of Ninjutsu in their curriculum, but are not Ninjutsu schools per se. 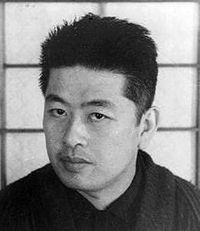 Several other schools of Ninjutsu purportedly exist, some of which claim a genealogy traced back to Japanese origins..The last acclaimed Ninjutsu custodian of knowledge, Yumio Nawa (名和弓雄), passed away at the end of the 20th century without leaving any heir or an augmented body of knowledge. Masaaki Hatsumi is Soke (Grandmaster) of the Bujinkan. According to the Bujinkan, Hatsumi is the inheritor of nine ryu (schools) some of which are Ninjutsu. He is recognized by many as the foremost authority on Ninjutsu, Bujinkan Budo Taijutsu, and Shinkentaijutsu. He also claims to hold the Densho (伝書)(scrolls) of the ancient schools that trace his lineage in the Togakure ryu 34 generations back. Ninjutsu in Japan went through several phases and the renaming of the system as Budo Taijutsu. several dojos and schools in the west opened up their own legitimate interpretation practice. Several western practitioners studied Ninjutsu with Hatsumi but none of those practicing with him at the 1960s and the beginning of the 1970s persisted. Israel was the first place where Bujinkan Ninjutsu was practiced outside Japan, with Doron Navon pioneering it there in 1974. Doron Navon, a fourth dan in Judo, was the first non Japanese Bujinkan Shihan. Mr. Navon no longer teaches from his current day residence in Japan, Bujinkan Israel is headed by Mr. Moti Nativ. The AKBAN organization uses the Bujinkan curriculum the way it was used before the 1985 emphasizing randori and usability. 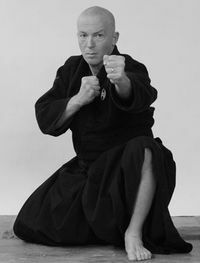 Stephen K. Hayes studied intermittently under Masaaki Hatsumi for some years and is the person who first brought Ninjutsu as a teacher to America and the west, founding the first Ninjutsu dojo in the Americas in Atlanta, Georgia, in the end of the 1970s. Mr. Hayes relocated to Ohio around 1980, where he continued to teach the art for a number of years. He now teaches a Westernized system, To-Shin Do, in his Quest Centers. In Europe Mr. Bo Munte started the Scandinavian dojo and handed it to Mr. Sven Eric. There are several persons and organizations that teach martial arts which they identify as Ninjutsu but who lack any clear lineage to Japanese teachers. While such arts may still be effective, they lack authenticated Japanese lineage. Ashida Kim is an American martial artist that has made unverified claims of cross training into Ninjutsu, as well as unsubstantiated claims of being the last grandmaster. Frank Dux is another martial artist whose claims of origins are unverified. Neo-ninja is a term that refers to modern martial arts schools which claim to teach elements of the historic ninja of Japan, or base their school's philosophy upon traits attributed to the historic ninja of Japan. Some people believe Kōga-ryū (甲賀流) Ninjutsu to have survived into the mid-20th century, purportedly having been passed to Fujita Seiko (藤田西湖) by his own grandfather. Seiko had students, but did not pass on this legacy. Any actual direct lineage of the Kōga-ryū that might have existed ended with the death of Fujita Seiko on January 14, 1966. Koga-ryu arts are generally considered to have been similar to the Iga-ryu arts.